For some people, studying law is a calling. They want to uphold the complex legal framework that keeps everything running. For others, the choice to study law only comes down to one thing: money. A law degree has long been thought of as a lucrative and safe choice for people to looking to advance their careers. What most people don’t realize is that getting a law degree involves more than just hitting the books for a few nights. It involves sweat and tears as you scramble to finalize reports and comprehend complex concepts. It’s a long, tough process. But for some, it’s what they’re meant to do. 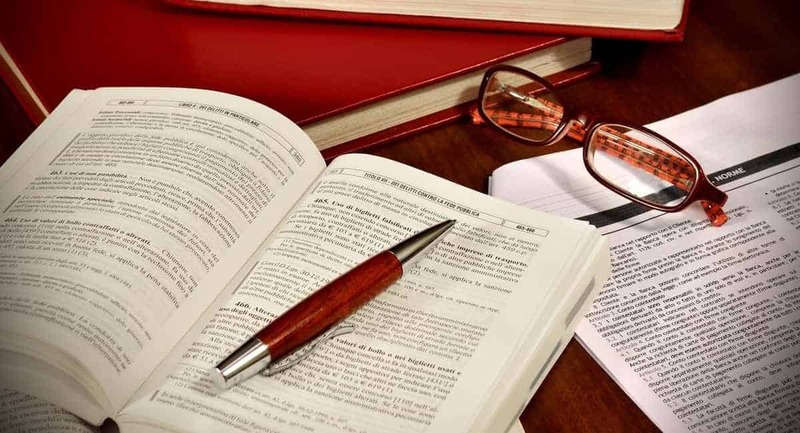 Keep reading below to learn if getting a law degree is the right choice for you! Curling up with a good book and a cup of steaming coffee is one of the best things the world has to offer. It’s also not what studying law is like. The books law students curl up with are long and expensive. They cover concepts most people never realize even exist, and law books take their time with it too. Expect to spend an entire night struggling to get through a single chapter as a law student. Circuit court might as well refer to the circle people must run in to advance as a lawyer. As a law student, expect to also study the art of schmoozing. Your professors are more than the vessels through which you can develop your legal acumen. They’re letters of recommendation, and they all know who to talk to in order to advance as a lawyer. Getting to know them is the second kind of test you need to pass in order to secure your career. One of the most important things to realize about law school is that it’s all about taking one test. The years you spend pouring over books and listening to professors all counts for one final test: the BAR. All the money you invest in going to school is about preparing yourself to take the test. Graduating with a law degree also doesn’t automatically mean that you pass the BAR. To become a lawyer, you need to pass the test, no matter your GPA or who you know. There’s more to the law than the books you read in law school will ever be able to cover. How much do you know about estate administration? How much do you think it relates to criminal law? You’re going to need to pick a field to specialize in. After picking one, expect to feel dumb while your other lawyer friends discuss what they do. Yet, you’ll also be able to baffle them when you talk about what you do. So take pride in that. The most important thing to remember about law school is that the schoolwork is only one part of it. You’re also going to have opportunities to demonstrate your legal skills in actual courts. You’ll have the chance to represent real people facing real legal issues. Focus on demonstrating what you can do in front of a judge and your peers. In court, it doesn’t matter what you studied. All that matters is what you can do, and doing your best takes work and focus. Working hard is working smart in law; the harder you work, the smarter people will know you are. At law school, the law is secondary to perseverance, discipline, and character. By studying law, you also learn how to become a better and stronger person. You get a glimpse into the framework that keeps society going and safe. You’ll also collect more than a few impressive stories at law school. If you ever feel like sharing them, contact us here. By writing about what you went through at law school, you’ll get to help guide a new generation of lawyers through the same trials you went through.